These are my notes from my ladies’ Sunday School class this morning. I’ll be posting the notes from my class here each week. Click here for the previous lesson. 1. Man was created first, then woman. 2. Man was given responsibility, position, and instruction before woman was created. 3. Woman was created to be a helper. We do not see a reversal or equalizing of roles in the New Testament’s teaching on the roles of men and women in marriage. The marriage roles continue to be understood basically as they have been since Creation. Not only do we see consistency with the Creative account, we also see a reiteration and fleshing out (with more specifics) of God’s original plan for the roles of men and women. Men have primary leadership/responsibility, women play a supporting role. Eph. 5:31 even quotes Gen. 2:24. 2. The wife is to submit to her husband as the church is to submit to Christ. God’s pattern- in the Creative order, the marriage order, and the bride of Christ order – is that the male is in the primary role of leadership, and the female is in the support role. What do you think He will say about the roles of men and women in church leadership in 1 Timothy 2? Seeing that established pattern, would it make any sense for God to break that pattern, especially in His bride, the church, and establish an order opposing this pattern, in which women have authority over men in the pastoral/teaching/leadership roles of the church? 8- Paul sets the tone of the passage as primarily a leadership “do” for men. Not primarily a “don’t” for women, this is secondary. He begins by telling men to stand up and take responsibility in the church. Men- take the initiative and lead, don’t shirk leadership responsibilities. 9-10- Two “do’s” for women: modesty and good works. Women also have responsibilities here. Clothing/apparel is to be modest physically and in “showiness.” We are to adorn (arrange, put in order, make ready) ourselves with good works. We don’t “sound a trumpet” (Matt. 6:2-4) about our good works—that’s immodest. We are to let our reputation for good works precede us. Good works should “wear us” rather than us “wearing” (flaunting) them. Notice again the emphasis and tone that has been set here. This is primarily a “do” passage, secondarily a “don’t” passage, but we often focus on the “don’t” to the exclusion of the “do.” Men are to stand up and take the leadership responsibility in the church, and women are to be busy about doing good works. 11- Women are to be taught God’s word. Emphasis here is primarily on “let” secondarily on “quietness and submission”. Paul is commanding that women be taught, a somewhat new concept for 1st century Jewish/secular culture. Women were often not deemed important enough to be taught, nor capable of learning. But they were not to find themselves lifted out of one ditch- undervalued- only to jump into the ditch on the other side of the road- domineering. Women are to learn respectfully and submit to the role God has assigned us. 12- Women are not to teach men or exercise authority (leadership) over them in the church setting. 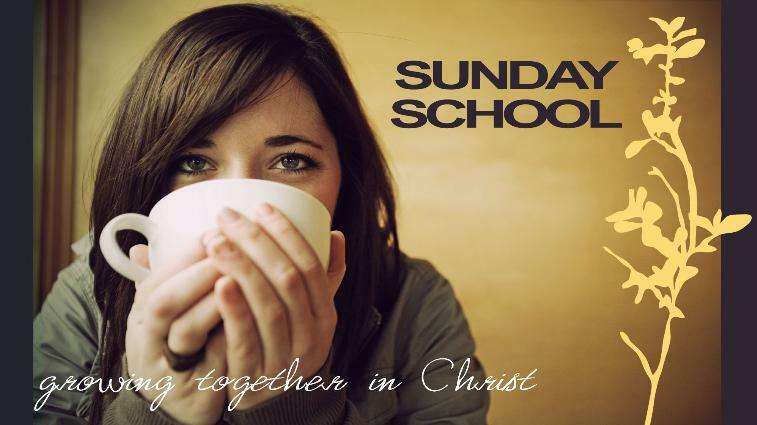 This includes Bible teaching (small groups, classes), preaching, various leadership roles. Men are to assume the responsibility for these roles. Not only is this biblical, but it frees women up to do the good works God has called us to adorn ourselves with. 13-14- Why? The answer goes back to Creation. Paul does not give current culture as the reason for God’s instruction that women are not to teach/exercise authority over men, though many today argue this. Nor was the reason that women are dumb or incapable, nor because men are smarter. The bedrock reason is 1- God set it up that way at Creation for HIS reasons (we don’t have to understand, just trust and obey) and 2- Eve was deceived. 2 Timothy 3:1-7. Just as God put Even in the Garden with a myriad of options and delights, with one restriction, so God puts women in the church with plenty of opportunities to serve Him, yet one restriction: leadership/teaching/preaching is reserved to men. That does not make God unfair or sexist. He is in charge. He gets to make the rules. He is God. We are not. Are we going to be like our mother, Eve, and step over God to steal the fruit He has forbidden us, or will we instead spend our time delighting in all the other options for serving that He provides us? 15- One opportunity for serving God that He has set aside especially for women: raising up the next generation of godly men and women. There are some additional resources at the end of each article if you’d like to do some additional study.